So you thought spring was busy? As fall has just begun on all of our campuses, it’s easy to realize that our schedules are booking up and life is busier now more than ever throughout the year. Each fall brings two of my favorite things – wearing sweaters and the TACUSPA Conference. Unfortunately, I live in Central Texas, so I probably spend more time at TACUSPA than actually wearing sweaters in the fall. 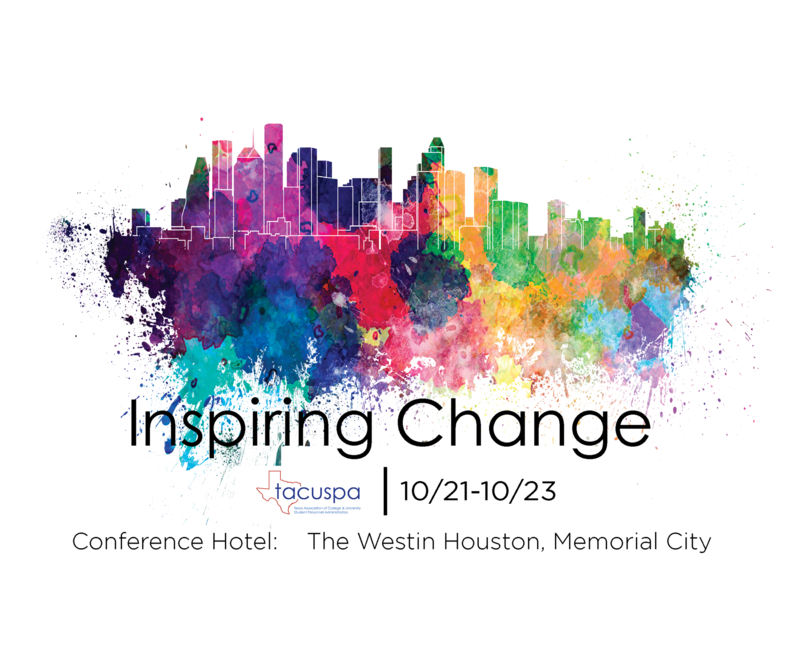 However, we will all have the opportunity to meet up again at our Annual TACUSPA Conference in Houston at the Westin – Memorial City (October 21-23). This year we will be talking with renowned leaders in academic and student affairs about inspiring change on our college campuses to meet the needs and challenges we see every day. Dr. Josie Ahlquist will share with us how we can use technologies to empower and change our communities, Dr. George L. Mehaffy will share new change trends and how to best work across our institutions and communities to succeed, and Paula M. Mendoza will discuss the changing needs our communities and how our institutions can meet those needs. While we know the speakers, presenters, and networking will be an incredible experience, the Westin Hotel also has incredible facilities that are all centrally located and with walking distance to restaurants and shopping. We hope that you can come, learn, connect, and relax. This year, as your TACUSPA president, I have learned so much about passions that unite all of us in student affairs and higher education. Some of those passions are specific regarding helping individual college students’ success through programs that you are leading on your campus, advocating for student affairs and higher education at the state and national level, and others include being passionate about helping this great organization succeed in the decades to come. I am excited about the opportunity to share such passions with incredible colleagues, especially at the 93rd Annual TACUSPA Conference. See you soon! The Silent Auction will be held during our upcoming annual conference. The Foundation always has a great response from the TACUSPA membership donating items for the auction. Some ideas include a Family Game Night Basket, Children’s Toys, Holiday Baskets, Jewelry, Books, Hotel Stay, Golf Package, Artwork, etc. Just be creative and watch TACUSPA’s Facebook page for ideas. Pinterest is also a great source for donation ideas. Please contact Keri Rogers at redkrogers@icloud.com with your donation and item value. If you need to ship your item before the conference, please ship to Amanda Drum, Texas A&M University-Corpus Christi, 6300 Ocean Drive Unit 5755, Corpus Christi, TX 78412. Registration for this year’s conference is still open. Early bird registration ends on Friday, September 28! Visit http://tacuspa.net/registration to register today. Contact Nicki McGee at nicki.mcgee@unthsc.edu for registration inquiries, including cancellations. Conference hotel block is still available at The Westin Houston, Memorial City. Hotel and Houston airport information can be found at http://tacuspa.net/hotel. Also on the conference website is the Conference at a Glance schedule to assist in your planning. pre-con sessions available to all conference attendees. If you have any questions regarding the conference, we are here to answer your questions. The conference committee looks forward to seeing you in Houston next month! Description: This session will explore how to utilize experiential learning to transform student development. The presenters will draw from experiences coordinating ProjectLEAD, a high-impact, experientially based leadership program that incorporates community engagement into the curriculum. Participants will gain insight into the theory and best practices of experiential learning, as well as have the opportunity to identify strategies, and methodology they can incorporate in their own programming. 1. Understand how experiential learning can be used to empower students to take ownership of their learning and development. 2. Explore how experiential learning can be used to enhance student learning. 3. Develop curriculum that incorporates experiential learning practices. Alyssa, Coordinator of Student Leadership Development in the Leadership and Ethics Institute at the University of Texas at Austin. Mary Cantu-Garcia, Graduate Assistant at the Leadership and Ethics Institute at the University of Texas at Austin. Registration will open closer to the webinar date. Can you believe we have entered into yet another academic year?! For many of us, the summer months bring a sense of calmness to our campuses. While there may be a decrease in student traffic and campus programming, our offices remain just as busy planning for our students’ return. The board of directors have also been hard at work gearing up for this year’s conference and starting to transition our new board members. We are happy to report that the association remains financially healthy and operating efficiently. Take a look at our meeting minutes to explore what else is happening with YOUR organization! 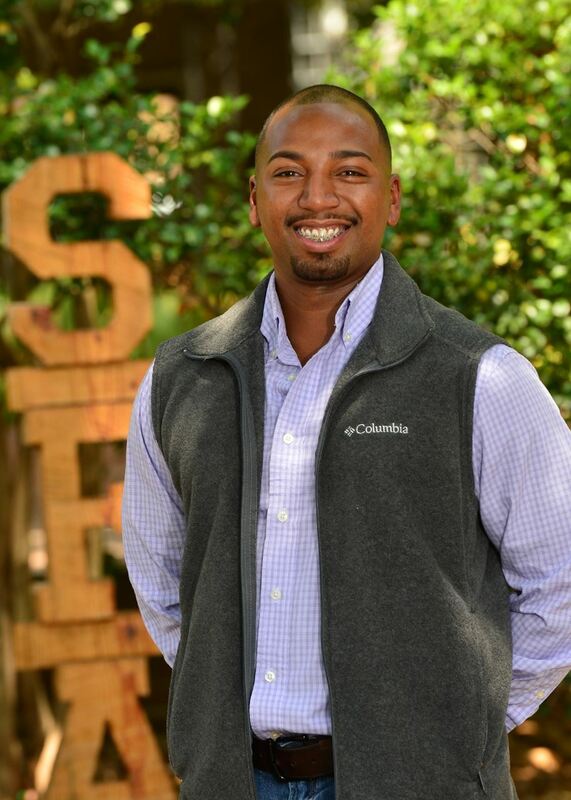 Jamal is the Director of Orientation Programs at Stephen F. Austin State University. Jamal also serves as instructor for SFA 101, as first-year success course, for a cohort within the university’s GenJacks first-generation student program. Originally from the DFW, he has called East Texas home for several years. 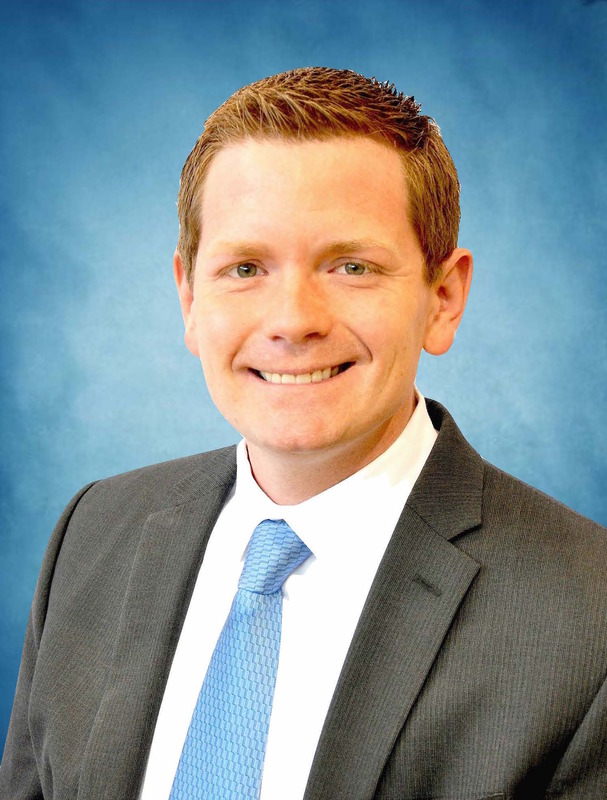 He is a two-time graduate of SFA, obtaining both his bachelor and master degrees from the institution. He first became a member of TACUSPA in 2012 as a graduate student. Currently he is serving as co-chair for the 2018 annual TACUSPA conference. For the past five years, he has served students in various capacities within enrollment management, new student and first-year programs. Once a first-generation college student, my passions lie in preparing and coaching students to success, while developing their skills to be effective leaders. I have several intersecting identities, so it has been my mission to model the way for the students I work with, especially those who see parts of themselves in me, and to show them that they can be successful in so many ways no matter their background. The student always comes first in my work and in the programs I oversee; and it is my obligation to continue to grow professionally in order to better serve them and propel them to their fullest potential. I’m thankful to TACUSPA for providing me with opportunities to grow, through the annual conference, webinars, and helping to cultivate relationships with colleagues across the state. TACUSPA also introduced to me to my mentor and now friend, who has been my sounding board from day one. There are some amazing student affairs folks in our state doing great work to educate and develop our students. TACUSPA is what brings us all together! Outside of TACUSPA, Jamal is very active in the Association for Orientation, Transition and Retention in Higher Education (NODA), where he has been a chair for the Extended Orientation Network, Returning Orientation Leader Institute faculty and currently on the national Diversity and Inclusion Committee. He is in his second year of doctoral coursework in Higher Education Administration at Texas A&M University-Commerce. Dr. Jeff Jackson was one of four to receive the Presidential Employee Excellence in Service Award at UT Health San Antonio. Paulina H. Mazurek was promoted to Founding Director of Wellness and Professional Formation in the office of undergraduate medical education at the UT Health San Antonio Long School of Medicine. For this newsletter, we are sharing the Texas Higher Education Coordinating Board’s 60x30 plan in the hope that you will find interesting and inspiring for the work on your campus. Thanks goes to Dr Pamelyn Klepal Shefman for this contribution. If you have something to share please feel free to email pshefman@central.uh.edu to be featured in a future assessment corner. Released in 2017, the Texas Higher Education Coordinating Board (THECB) made a bold call to action for higher education. They have stated that based on changes in the job market over the last 10 years that obtaining some form of higher education will necessary. Therefore, they have made the call to action. The goal is that by year 2030 sixty percent of all Texans must have some higher education credential. Recent numbers indicate that forty-two percent of Texans meet that criteria. This aspiring challenge comes with four goals. These are summarized below with some thought-provoking questions for the field. For details on the THECB 60x30 plan please visit: http://www.60x30tx.com/. This goal measures the percentage of Texans aged 25 to 34 that have a higher education credential. This includes all levels of higher education and focuses on the global need for an educated workforce. This goal is a 60% increase in the educated population from the base year. On the 60x30 website, they are tracking progress on this goal across the ten regions of Texas. And as of this writing, THCB have posted the 2016 numbers. The highest region in 2016 was region 7, Central, at 48.2% and the lowest was region 5, Southeast, at 31.5%. This regional data is based on residence as reported in the US Census. What does this mean for the field of student affairs and services? We are part of this intellectual workforce and we rely on future Texans to also be ready to do the hard work of serving our students. But how will our campuses look if we continue to grow the number of students working towards credentials? Do we have scalable services to meet the students we don’t yet have? Further, probably not all these students will be face-to-face. Are we ready to serve and provide services for students who are not physically on our campuses? This goal measures the total number of credentials that are produced in Texas. Each level of credential counts from certificates through master’s. Also included in this goal is the identification of ethnicity, gender, and economic disadvantage. There are benchmarks set for race/ethnicity stating in the first target year of 2020 for African American and Hispanic populations are 48,000 and 138,000 respectively. The 2020 target for males is 168,000 and economically disadvantaged is 146,000. THECB is also tracking the enrollment of high school graduates directly into higher education with the target to have 58% enrolling by 2020. Similar to some of the questions posed in goal one, are we focused on serving students who need us the most? The challenge to serve students at all institutional types and within each population calls for the field to be more ready than ever. How different will our students be as we reach toward new subsets of the population to come to our campuses? And, if we are already serving these populations, can we continue to serve well as the numbers rise? This goal includes providing applied, cognitive, and interpersonal skills in institutional programs. The contributions and recognition of the gaining and identification of these skills include a move toward recognizing the skills that employers are looking for. The site is currently tracking student found working within one year of leaving higher education. There is also discussions at THECB about the outcomes of programs and how to report those marketable skills. Are we tracking and mapping the marketable skills student are gaining from our work with them? Do we know what those skills are? Do we tell students upfront what to expect from the experiences that they are participating in? Do we have ways for students to articulate those skills? For student affairs and services, this goal is one to watch as we see the impacts of the co-curricular experience in the marketable skills. 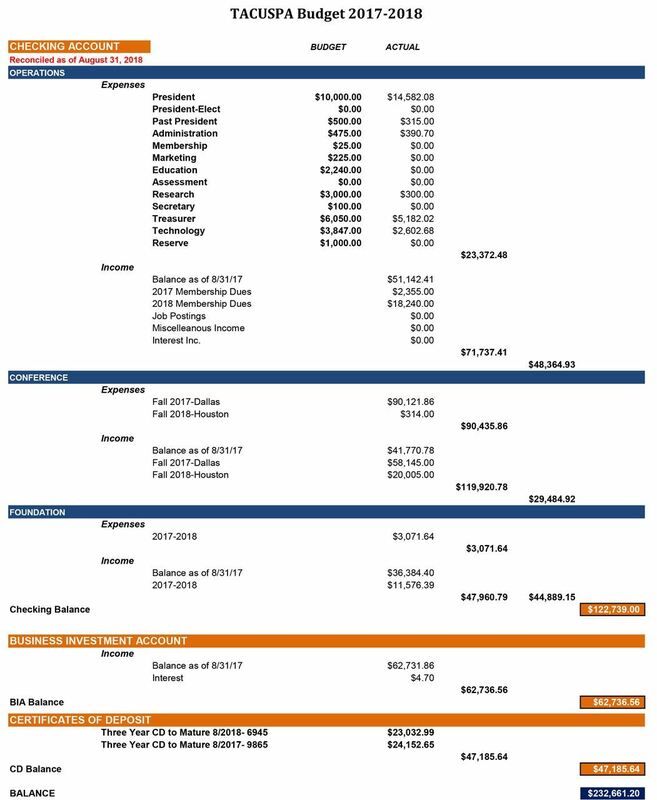 The last Assessment in Action looked at the work of SHSU and the assessment of financial management of student debt; how timely! This particular goal looks at the influences of affordability of higher education. THECB recognized that in order to make education attainable the costs must be tracked. The overall goal is maintain undergraduate student loan debt below 60% of wages, where students graduate without debt, and the extra number of credit earned decreases. For those who work in student financial aid, this goal hit home. It is important to note that it is not only for that part of student services work that should be called to action. How versed are we in financial literacy? Are we able to help the students we see or interact with understand the differences their financial choices in paying for schools impact them? Are we aware of the costs of our services to students and are we mindful to be good stewards of our student’s money? Student affairs and student services has a large reach as we can possibly touch every student every day. The hope is that we are taking this responsibility to heart. The call is to be ready to face this challenge now. This Assessment in Action is a reminder to us as professionals across Texas to be in the know about THECB goals and to continue to track where we are. To follow the 60x30 plan login at http://www.60x30tx.com/.